Four years in the making, Doves finally released their fourth album ‘Kingdom Of Rust’ this week (April 6). With the Manchester trio exploring “every idea to its logical conclusion” during the recording it’s a record that references Kraftwerk, Johnny Cash, ESG and even their old incarnation Sub Sub in a single breath. 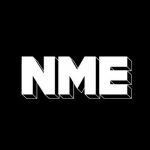 “However no matter how schizo this album is, it’s got our DNA all over it,” declares guitarist Jez Williams as he gives NME a personal tour of ‘Kingdom Of Rust’. You can also watch a track-by-track video interview, embedded below. A version of this article appears in the new issue of NME magazine, on sale now. You can also read NME’s review of the album, which appeared in the April 4 issue.